While other games in the area fell foul of the winter weather Cray Valley PM progressed to the quarter finals of the F.A. Vase with victory over Abbey Rangers. It took just four minutes for the Surrey based visitors to go ahead. Elliott Firth crossed to the far post and Danny Hartlebury jumped unattended to finish with a simple header. Looking for a quick equaliser Gavin Tomlin turned and shot but his effort flew well over. 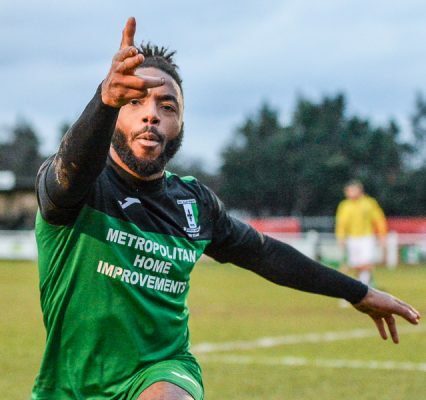 There was some good fortune when Cray Valley drew level in the fifteenth minute. Anthony Edgar put a low cross into a dangerous area. Kevin Lisbie was unable to get a shot away and it looked like the chance was gone. However Denzel Gayle blocked the clearance with the outside of his left foot and it looped up and into the back of the net. Ryan Flack put in a threatening low cross but Abbey goalkeeper Liam Stone did well to claim as Lisbie moved in then Gayle was able to pick out the former Charlton hit-man but Lisbie fired well over. 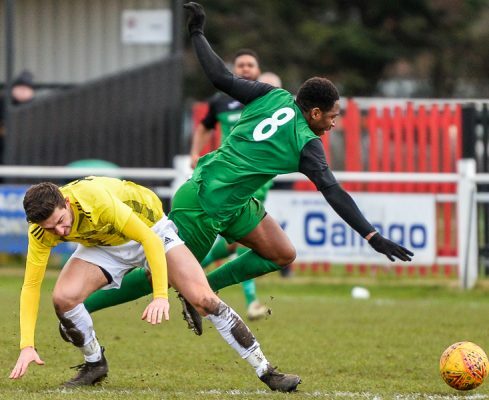 Gayle had a shot blocked by Ben Kersley before Cray Valley went ahead a minute before the interval. Gayle had another shot blocked and it came out to Flack. He laid it off to Tomlin and his immaculate chip gave Liam Stone no chance as it arced into the back of the net. There was almost an immediate response but Brad Thomas’ free kick went just over the bar. After the break Elliott Firth played a good ball in to Harrison Deacon but his first time shot was unconvincing and drifted wide. Then things got much harder for the visitors when they were reduced to ten men. Lisbie sent Edgar away and Robbie Kersley brought him down. As he was the last man the referee had no option other than to dismiss him. Tomlin took the free kick but fired well over. Lisbie brought down a long cross well but delayed his shot and when he got it away it was deflected wide for a corner. Then the veteran striker went for an acrobatic shot which brought a fine save out of Stone. 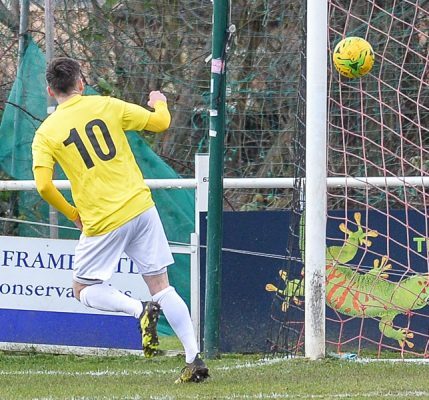 Deacon had a header for the visitors that might have constituted an effort on target but Andy Walker picked it up easily then at the other end Gayle’s shot was claimed comfortably by Stone. 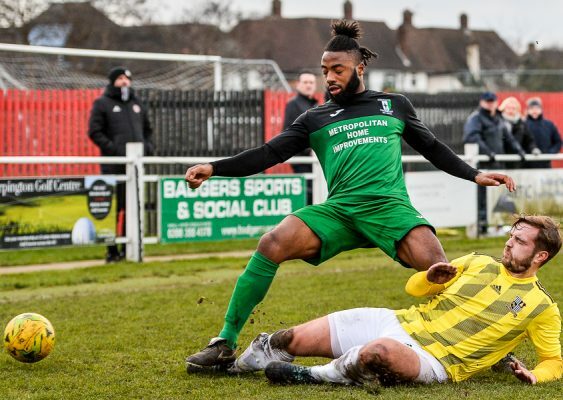 Danny Smith went on one of his marauding runs and crossed to substitute Frances Babalola but his effort flew back off the bar. The visitors were unable to get it away and it came out to Gayle who crossed in low, and this time Babalola made no mistake with a confident finish. As the game went into injury time Lisbie drew a good save out of Stone at the near post then Babalola burst through but shot into the side netting. It mattered little as the final whistle blew soon after to signal delight for the Millers. 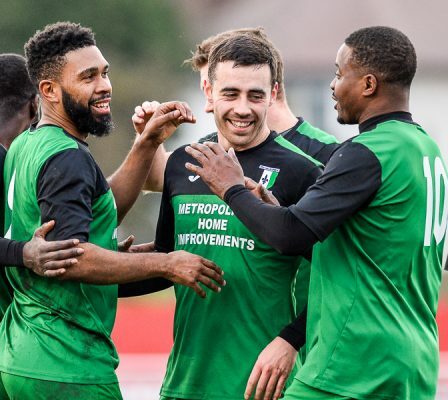 Cray Valley PM: Walker, Potter, Smith, Semakula, Sains, Tumkaya, Gayle, Edgar (James 81), Tomlin (Babalola 57), Lisbie, Flack. Sub not used: Willock, Myers, Osborne. Abbey Rangers: Stone, Wise, Macklin, Hendrie (Robertson 89), Firth, Thomas, Deacon, Hartlebury, R Kersley, B Kersley, Davies (Main 80). Subs not used: Webb, Carey, Maw. 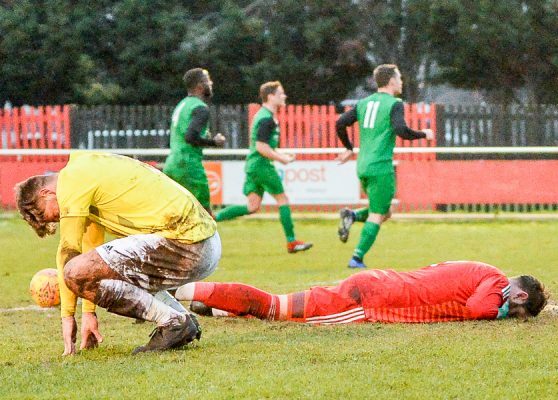 This entry was posted	on Saturday, February 2nd, 2019 at 4:49 pm	and is filed under Football, Non-League Football. You can follow any responses to this entry through the RSS 2.0 feed. Both comments and pings are currently closed.